"[Moliere's] characteristic qualities are nowhere better exhibited than in "Tartuffe." 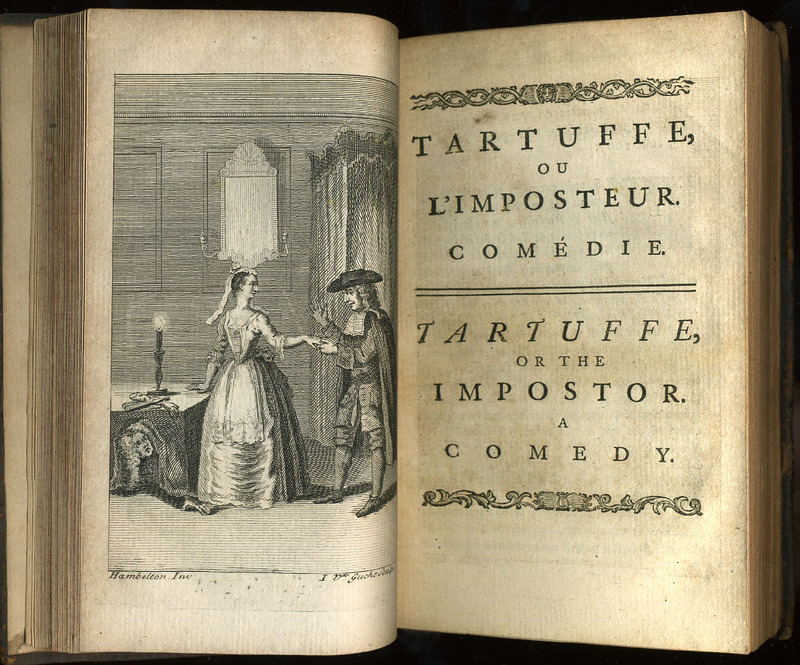 Compared with such characterization as Shakespeare's, Moliere's method of portraying life may seem to be lacking in complexity; but it is precisely the simplicity with which creations like Tartuffe embody the weakness or vice they represent that has given them their place as universally recognized types of human nature." Enjoy Tartuffe, often read in high school grades 11-12. Return to the Jean-Baptiste Poquelin (Moliere) library.